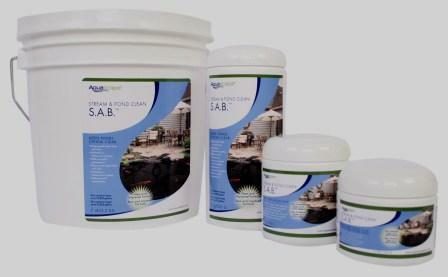 TJB-INC uses and sells the Aquascape brand of Water Treatments. Combining science with simplicity, Aquascape's complete new and improved line of water treatments make it simple to maintain a healthly, well-balanced water garden. Aquascape's new pump top liquid bottles and bubble tabs make dosing simple and affordable. Put away your calculators and enjoy a clean, clear, healthy pond with the complete line od Aquascape water treatment products. We have products available for any pond water problem that might arise in your water feature. Whether you own a Container Water Garden, Pondless Water Feature, Backyard Water Garden, Natural Pond or Lake, we can provide a natural safe product to to help you. Aquascape has worked diligently to combine science with simplicity within their complete line of new and improved water treatment products, making it easy for you to maintain a healthy, well-balanced water garden. The line-up of water treatments includes pond detoxifier, beneficial bacteria, barley extract, sludge cleaner and many more. Pump top liquid dispenser bottles and easy-to-use bubble tabs provide a simple dosing system for you, taking the guesswork out of your pond treatment application. The water feature and fountain treatments of the new line boast refreshing aromatherapy scents, like lime and lavender, to help you relax after a long stressful day. Industry-leading CFU counts or bacteria concentrations were used in conjunction with other ingredients to optimize the entire pond ecosystem. 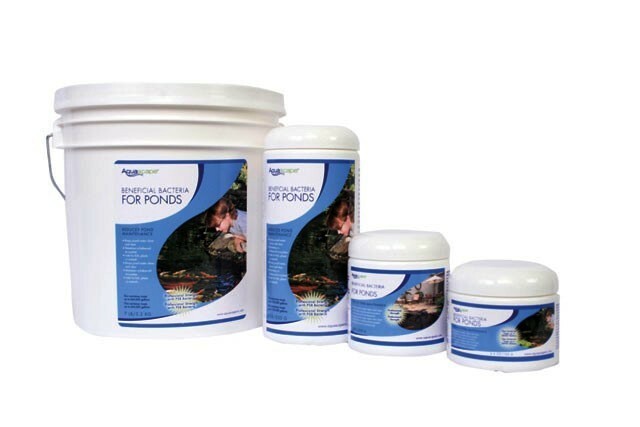 A new Spring Starter Kit and a Pond Maintenance Kit round out the Aquascape water treatment line and provide an easy means for you to acquire the right product mix to maintain a clean, clear and healthy pond. 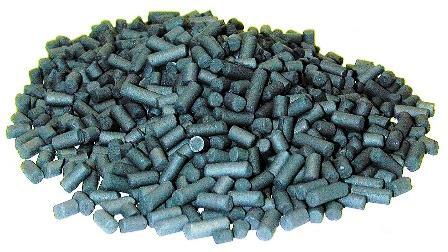 Beneficial Bacteria Dry Contains microbs and enxymes that are effective at reducing sludge, uneaten fish food, fish waste, and excess nutrients. Beneficial Bacteria Liquid Faster acting than the dry formula. 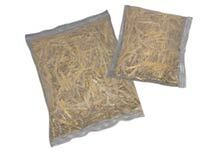 Contains microbes that are effective at reducing ammonia, nitrites, and excess nutrients. Cold Water Benificial Bacteria Contains cold water microbs that are effective at accelerating the digestion of organic matter such as leaves, seeds, branches, etc. Excellent at reducing ammonia, nitrites, and excessive nutrients. Great for Spring Start ups. Works in water temperatures above 40 degrees. Wetland/Pond & Lake Contains a highly consentrated blend of benificial microbes that are effective at reducing ammonia, nitrites, and excess nutrients in lager bodies of water. S.A.B. Breaks down and reduces debris in the pond. Helps to prevent growth of string algae. Use in combination with EcoBlast or Green Clean. EcoBlast or Green Clean Breaks down algae on contact. Use in combination with S.A.B. Extreme for a complete algae control system for your pond. Safe for Fish! 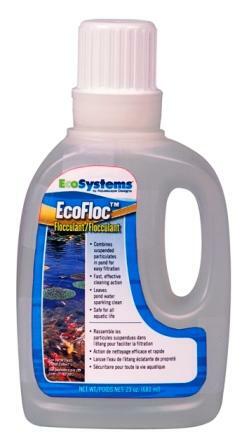 EcoCarbon Removes odors and any discoloration to the water. Good at removing "Tea Colored" water. 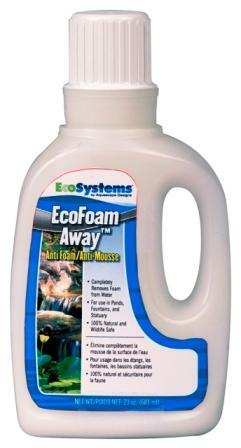 Helps remove excess organics that can create foam. Rapid Clear Clumps suspended particals in the water for easy removal for filter. Fish Safe. Foam Away Removes foam from the water. Use with EcoCarbon. Fish Safe. Pond Shade Colors the water dark blue so light doesn't penetrate through. By blocking the UV light from reaching the plants/weeds, it will stave the plants/weeds for light and they will die. Fish Safe. 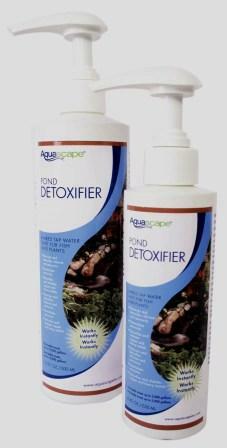 Great for natural bottom ponds with excess unwanted bottom growth. EcoBarley As the barley pellets decompose, they slowly release hydrogen peroxide into the water column which interupts the cell walls of algae. Natural Algae Control for ponds.